1. Shu Uemura Eyelash Curlers - I got them a couple of months ago and I can really see a difference in quality between them and all the cheap curlers I have tried in the past. These actually manage to curl my lashes properly and I don't regret spending £20.00 on them. Read my full review here. 2. MAC 187 Duo Fibre Brush - I got this brush a couple of years ago, but I totally forgot about it. I rediscovered it this year and I have been using it with my Hourglass Ambient Lighting Powders. It picks up the perfect amount of product, for a subtle illuminating effect and I can't achieve a similar finish with any other brush. 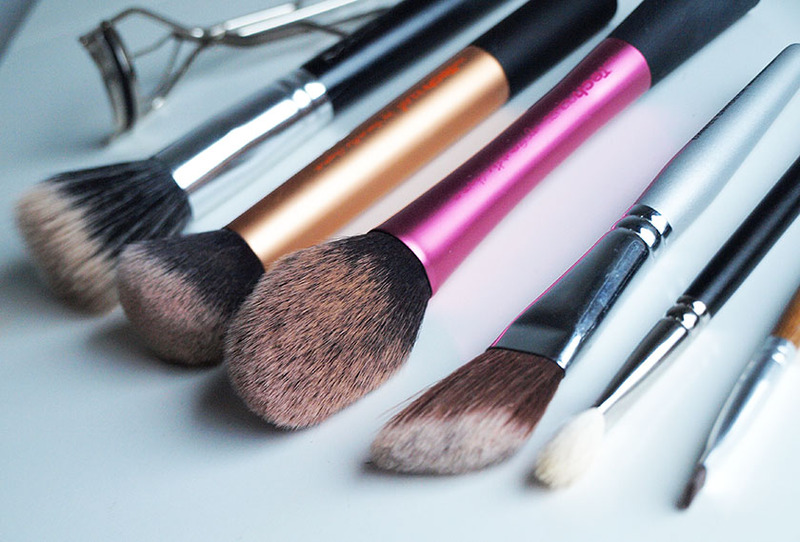 I also like using it with bronzers and blushers - it works well with powder and cream formulas. 3. Real Techniques Buffing Brush - Nothing beats this brush for blending liquid foundation and the quality of the bristles is exceptional. I have been using it with all my foundations for 1,5 years and it is still in perfect condition. It helps me achieve a flawless finish and even coverage. 4. Real Techniques Blush Brush - My all time favourite brush for applying blush and bronzer. It is super soft, fluffy and perfectly shaped for applying colour to my cheeks. It can also be used for powders and highlighters. I can't recommend it enough. All Real Techniques Brushes are awesome in my opinion! 5. Daniel Sandler Waterbrush - This little brush is meant to be used with the Daniel Sandler Watercolour Blushers, but I use it for contouring and it is amazing! Exactly what I was looking for to use under my cheekbones. 7. 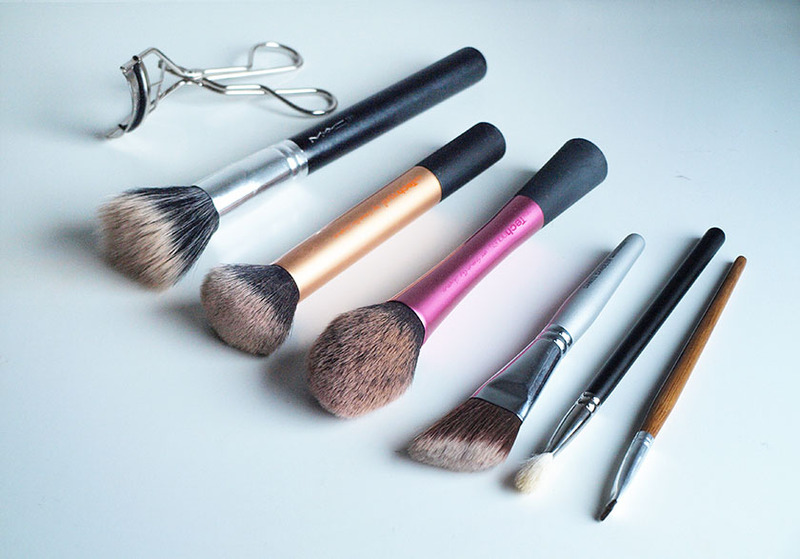 Everyday Minerals Angled Brow and Liner Brush* - From all angled brushes I own, this one is my favourite. It kept it's shape after many washes and many, many uses and I love using it to define my eyebrows and apply eyeshadow close to the lashline.